Could hiring a social media influencer offer a boost your business? If you haven’t considered this popular trend, it’s time to think again. Although influencer marketing has been a popular practice for many years, it has only recently become a mainstream trend. Influencer marketing can be useful for businesses of pretty much any type and size. The difficulty comes in figuring out if your campaign is worth your investment and having the impact you desire. Influencer marketing refers to any campaign that uses a person with a large reach in social media to promote a brand. Huge brands are steering away from celebrities and using regular influencers who have a large following on social media (over 20K – 1mill+) and micro-influencers (between 1K-10K followers who have an influence in a specific industry or local area). How do you know which is the right one to choose and how do you know if it’s effective? When choosing an influencer for your campaign, consider the influencer’s reach. Also consider campaign engagements and social leads. To choose the right social media influencer, you’re going to need to consider their reach. There are two main metrics that measure reach. One is the number of active followers. The other is number of impressions created as a result of those followers engaging with the post. In other words, reach goes beyond follower count. Depending on the social media platform the influencer is using, the number of impressions that can come from a social media campaign can easily snowball with engagements. When considering reach, you’re determining whether you’d like to use micro-influencers or larger, more mainstream influencers for your influencer marketing campaign. A common misconception is “bigger is better” for online audiences. However, the reality is not so much the case. Engagement is arguably the most important metric when hiring a team of influencers to market your product or service. Engagement is the number one metric for social media influencer marketing campaigns! Engagement is proof of direct response to an influencer’s photo, video, or blog post about your product. Put another way, engagement shows who is listening! While some influencers have hundreds of thousands of followers, what does that really mean if only a few hundred of them interact with the post — acknowledging that they have been “influenced” by the post? This is where several small business owners can gain traction by hiring several micro-influencers rather than one large mainstream influencer campaign. Micro-influencers are often more authentic and have more of a one-on-one relationship with their followers, indicating higher engagement rates than mainstream influencers and more acknowledgment of your brand! Most influencer marketing campaigns today are on YouTube, Instagram, or an influencer’s personal blog. The key to all influencer campaigns is AUTHENTICITY. In fact, mainstream influencers that carelessly post content about a new product and drop a link are shunned in the internet world with a popular term referred to as “shilling.” The number one rule of a good influencer campaign is simply: Don’t shill! Be natural. Encourage your influencers to be natural. Don’t hire someone to “love” your product. Find someone that already loves your product and is willing to speak about it, authentically. The best online influencers link between multiple influencer pieces but not directly to your product. For example, an Instagram influencer will post an Instagram Story or stream to Instagram TV about your product. Typically, this is about a day in the life of reviewing your product. Part of what makes people authentic and likeable is that they aren’t just talking about your product; they’re also admitting that they had to run to the gym, pick up their kids, and walk the dog that day! The key to their campaign is to make you a natural piece of their everyday lives. What’s important to realize here is that not everyone has to click through to your website to be influenced to look up your brand. Influencer marketing takes time. A truly good influencer will have their fans asking them directly in comments in private messages, “Tell me more about this product”? This is where influencers impact really comes in useful. Another way to determine the impact of influencers is to look at how they are affecting your strategy on a broader scale. Often influencers can get away with being authentic while tagging or calling out a brand specifically in their posts. Legally, influencers are required to say through their comments, location, or hashtag use that they are part of a paid campaign. 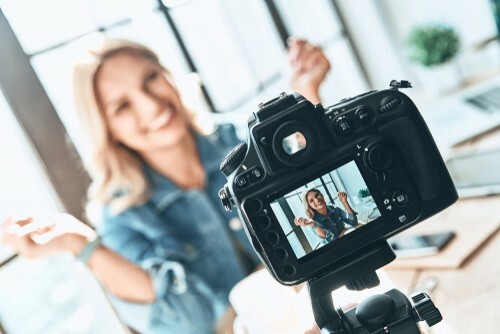 However, when an influencer can assign a personal experience to promoting a brand, their fans are more likely to connect and less likely to avoid that influencer in the future. When you finish an influencer marketing campaign, you should expect your influencers to report increased reach, traffic, and engagement. The influencers should be able to show the results of your campaign on their blog or social media accounts. The most obvious goal of an influencer campaign is increased revenue through brand awareness. However, influencer marketing campaigns are often part of a long-term strategy to grow your brand awareness, where revenue may not always be the immediate result desired and will often just be a perk of growing your brand’s awareness. When starting your first influencer marketing campaign, start small. Your influencer will report metrics received for the overall campaign. However, invest limited budgets across time to test new influencers and new influencer campaigns until you get the hang of what works for you and your brand. Be creative! Contact us today for all your marketing needs from website design to paid advertising campaigns to social media marketing. In today’s competitive world you need our help. 561-469-8640.